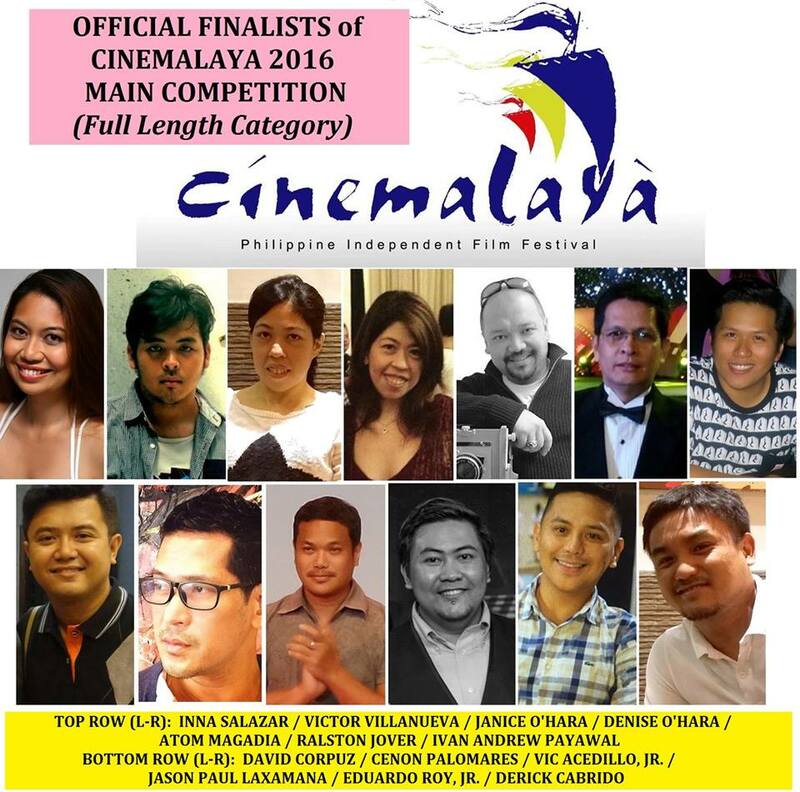 The 12th Cinemalaya Philippine Independent Film Festival (Cinemalaya 2016) is already pumped up with its official full length movie entries for next year as early as this writing is concerned. There are some fans of the film festival were somehow asking why the Cinemalaya Foundation did not have a line up for this year's Cinemalaya's 11th year, where only the short film categories where shown. Up until now, we are still clueless why this incident had to happen. But it's okay, because the Cinemalaya Philippine Independent Film Festival is here to stay in 2016 with the release of next year's official full length movie category! It was also announced by the Cinemalaya Foundation Committee that starting this year, the film festival will be announcing the following year's full length finalists during the awards night ceremonies. Fans of the festivals will have a year to eagerly wait for the independent filmmakers to showcase their uniqueness through their indie masterpieces! Until the Cinemalaya 2016!